"There is certainly a skill set involved in going 26 miles beyond running a fast 1,500 meters, but a guy who combines sub-3:30 (1,500m) ability with the half marathon, like Mo, yeah, I think he can do it. Whether he can his first time out in London, I don't know, but anyone who runs a fast 10K can run a fast marathon, I think." - Coach Bob Larsen talking about Mo Farah's prospects in the marathon. Do you agree that all fast 10k runners run great 26.2? We don't. * Discuss here: Really? Meb's coach: "Anyone who runs a fast 10K can run a fast marathon.”- List of fast 10kers, but failed marathoners. Do you think you're the fastest person in history with your last name? 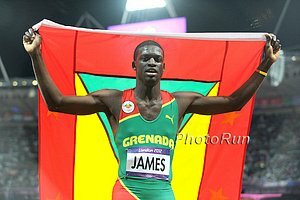 Kirani James Is A Class Act - Back At Alabama And Humbly Working On His Degree "He's always been very quiet, extremely humble, and he's the exact same person before he went to London as he is right now," Jones said. "He doesn't have the big head; he's not cocky. He truly is the exact same person." US Marathon Champs Are This Weekend In Minneapolis And Meghan Payton Is A Potential Winner In Her Hometown She's never finished a marathon before (dropped out at mile 24 at Olympic Trials). Nick Willis Reveals How He Got 4,000 People To Show Up And Watch The Sub-4 Mile He Put On In Michigan Here's the skinny: It happens rarely, happens after a nice warmup, and takes less than 4 minutes and it's free. Does that remind you of anything? Of course they showed up. Toni Reavis: Does 1,500 Speed Determine One's Ultimate Marathon Potential (Will 3:28 1,500 Man Mo Farah Be A Star)? Day After: Kipsang Does 25-Minute Run, Limps Into Press Conference, Says His Next Marathon Is In April He is sponsored by adidas so is there any chance it's Boston? We highly doubt it. Kipsang says he was inspired by Paul Tergat's WR in Berlin 10 years ago as he's like "family" to him as they are from the same area. *Idiot Who Finished Ahead Of Kipsang Is Charged With "Trespassing"
*Kipsang Is Finalist For IAAF AOY Award We say Bondarenko. *Eurosport On Kipsang's WR: One of sport's greatest ever achievements, yet few people even noticed We disagree it was one of sport's greatest achievements. 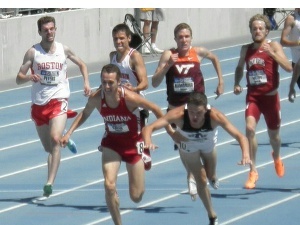 Get back to us when someone breaks 2:03:00. *How Long Could You Run With Wilson Kipsang? Wilson Kipsang Sets New Marathon World Record At 2:03:23 Kipsang went through the half in 1:01:45 and had company up through 35K before breaking away from the pack. In only his second marathon, Eliud Kipchoge was second in 2.04.05, Geoffrey Kipsang finished third in 2.06.26. Florence Kiplagat won the women's race in 2:21:13 with Sharon Cherop second with 2:22:28. Germany's Irina Mikitenko set the world masters best when she finished third in 2:24:54; Desiree Davila was 5th in 2:29:15. *How Did He Do It? Splits And Live Analysis From The Science Of Sport's Ross Tucker Kipsang's 5km splits were very even. *Globe Runner Recap Kipsang: "This is a dream come true. Ten years ago, I watched Paul Tergat break the world record in Berlin, and now I have achieved the dream." *2 Minutes Of Video Highlights: An idiot promoting prostitution jumped out from the crowd and crossed the finish line ahead of Kipsang. *Interesting Berlin Stats From Ken Nakamura W. Kipsang is now the first four-time sub-2:05 guy, 1st two-time sub-2:04 guy. *EuroSport: Idiot Promoting Prostitution Website Ruins Kipsang's Record Moment (Includes Video) The spectator (wearing a shirt with a prostitution website on it) jumped a railing and ran across the finish line, breaking the tape before Kipsang. *Athletics Weekly: "organisers should stick [the finish line photo bomber] in a room full of angry photographers for an hour as punishment." We're not sure that's a severe enough punishment. *Florence Kiplagat: "I felt strong in the first half of the race, but then I started getting problems with my right foot, I had a blister which forced me to slow down." She also said she found the weather conditions harder here than when she won 2 years ago in 2:19. *Japanese Performances In Berlin Suehiro Ishikawa was first Japanese man in 7th with 2:10:24. *Guy that jumped in the way at finish of Berlin Marathon? *2003: Paul Tergat 2:04:55. 2013: Wilson Kipsang 2:03:23. WR improving ~10s per year. 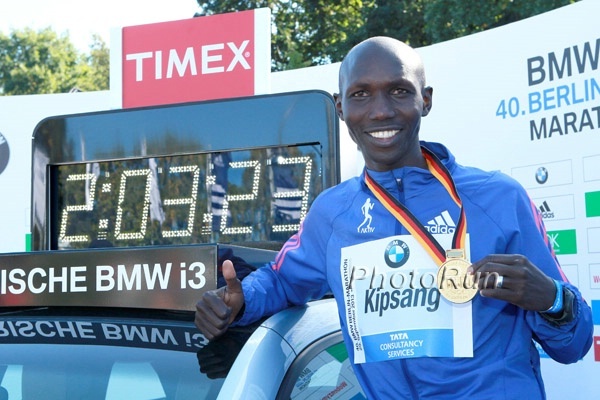 *kipsang ran a 2:03:32 in practice? *RENATO CANOVA: WILL THE MARATHON WR BE BROKEN? Congrats to MB poster Calgary, who predicted the 2:03:23 World record time. 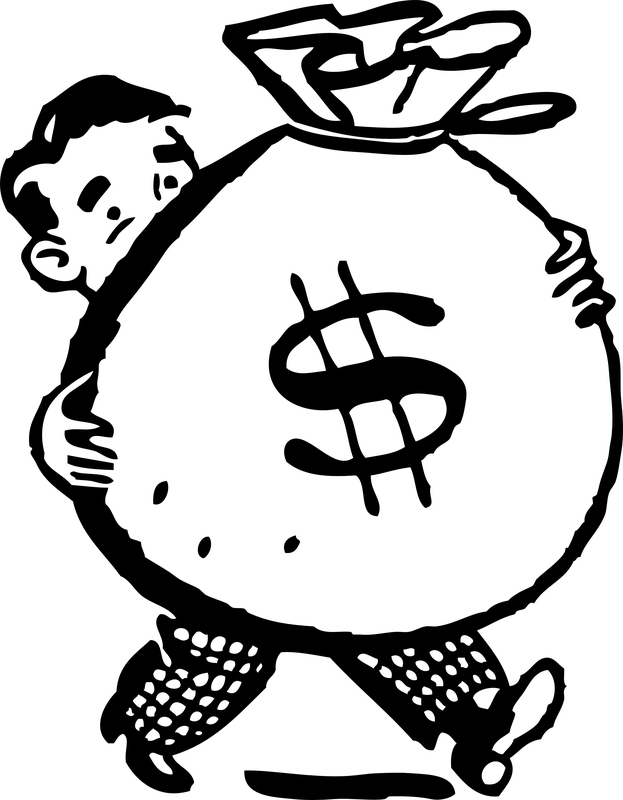 Attention Private Equity - LetsRun Is Profitable And Will Sell For $10 Million. Email us and we'll be done by the end of the week. 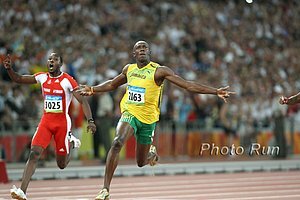 Bolt To Race On $treet In Bueno$ Aire$ In December Venus and Serena will also play a tennis match. Does Soy Decrease Testosterone For Men And Increase Cancer Risk For Women? At Last, A Rival To Nike's Training Groups? B.A.A. To Recruit And Support High Performance Group Sponsored By adidas And Coached By Terrence Mahon We are assuming the adidas-sponsored Morgan Uceny will be a part of it. MB Discussion: Coach Terrence Mahon joins BAA to coach a high performance distance running initiative ? 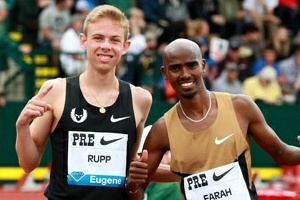 More US News: Curtis Anderson Is Pumped That In 2014, Hayward Field Will Host Oregon State Champs, Prefontaine, NCAAs And World Juniors We think it's great Eugene has world juniors but totally think track is over-saturated in Eugene. Have world juniors or NCAAs, not both. Jenn Suhr Has Been Enjoying Her Time Off, Boating With Her Husband, But Is "starting to miss my training routine." Q&A With Australia's 21-Year-Old 1:45.44 Man Alexander Rowe The 8th-fastest Aussie ever made the semis of Moscow two years after nearly quitting the sport. IAAF Hires Consulting Company To Increase Exposure To Potential Host Cities For World Champs, XC, Youths, Etc. Former Worlds 5,000 Silver Medalist Sylvia Kibet Judge Edges Paskalia Kipkoech To Win Carrera de la Mujer 12K In Bogota, Columbia Both women were given the same time of 42:11 for the race, which took place at over 8,000 ft. elevation. Ethiopia's World steeple 4th placer Hiwot Ayalew was back in 5th. Japan London Olympian Arata Fujiwara Wins Hokkaido's Hakodate Half Marathon In 1:04:19 Yuki Kawauchi was 4th in 1:04:51. Ethiopia's Tigist Tufa Breaks Kim Smith's CR To Win RnR Providence Half Marathon In 1:10:51 She finished 2nd overall, beating all but one male who won in 1:09:00. 2:11 Man Nick Arciniaga Blogs 1 Week Ahead Of The US Marathon Championships At Twin Cities Marathon Arciniaga talks about setting expectations ahead of marathons and his perspective can serve as some good coaching advice for other aspiring marathoners. Former Sprinter Valeriy Borzov, Who Won Double Gold For The Soviet Union At The 1972 Games, Offers Usain Bolt Advice On Improving His Start He says Bolt should "change his start position" and when he's in the set position "imagine you are already running." We imagine as a Soviet sprinter in the '70s whose coach has ties to the BALCO scandal, he might have some other advice to offer Bolt as well. Another Elite Putting In Some Time With The Media: Meb Keflezighi Goes For A "Jog" At 15-Minute Pace In Central Park With A Bunch Of Journalists On his plan for the NYC Marathon this year he said, "Plan A is to win. Plan B is to set a personal record." Meb Keflezighi Says That Airport Security Personnel Were Very Suspicious Of Him When He Was Flying The Day After The Boston Marathon Bombing He says some fans recognizing him and wanting autographs might have been what saved him from being detained. "When I got to the airport to the security, I felt all eyes were on me," he said. Lolo Jones Upset By LSU Football Loss And Goes On "Twitter Rant"
Oregon Men, Providence Women Win At Coast-To-Coast Battle In Beantown As Edward Cheserek Wins His College Cross-Country Debut The Ducks raced in Boston. *University of Oregon: running in Boston this Friday? Why? Colorado: Colorado XC Men & Women Win In Home Meet In Boulder Colorado's Blake Theroux, but was trailed only by 1 second by freshman Ben Saarel, running unattached. In the women's race, CU's Carrie Verdon lost to high school senior Elise Cranny (who is coached by Jason Hartman). Crazy: Charging Moose Shot At Middle School XC Race In Anchorage, Alaska It was shot and killed by a police officer when it charged at a pack of girl runners on the course. The officer was there watching his daughter race. Strength Equals Speed: Minnesota 800 Runners Using XC To Get Ready For Track They do the XC workouts, but tailored for mid-d training. *DyeStat's Doug Binder Shares Some Insight On The Debate Among Minnesota High Schools About Moving The Girls Up To The Same 5k Race Distance As Boys Currently Minnesota is among the minority of states where HS girls race shorter distance in XC; here they do 4k. The Telegraph: Ben Johnson Evokes Pity, Not A Feeling Of Redemption On Return To Seoul Olympic Stadium One writer shares some good reasons why she feels Ben Johnson is a horrible choice to put as the face of a new anti-doping campaign. *Deal Estimated At $10 Million A Year He'll also reportedly still get $4 million a year after he retires to act as a "Puma ambassador." Adam Goucher's Colorado Prep 5K XC Record Broken Cerake Geberkidane ran 14:46.50 to set the unofficial record, breaking Goucher's 14:54.7 time from 1993. Updated D1 XC Regional Rankings Not many changes from last week as most teams didn't race. Arkansas' Stanley Kebenei And Duke's Juliet Bottorff Are USTFCCA DI Athletes Of The Week Kebenei won the Missouri Southern Stampede in 23:25.75 and Bottorff set a course record of 16:28 at the 5K Adidas XC Challenge.